In late August of 2015, a product entitled Tournament of Rapists was noticed on DriveThruRPG/OBS. 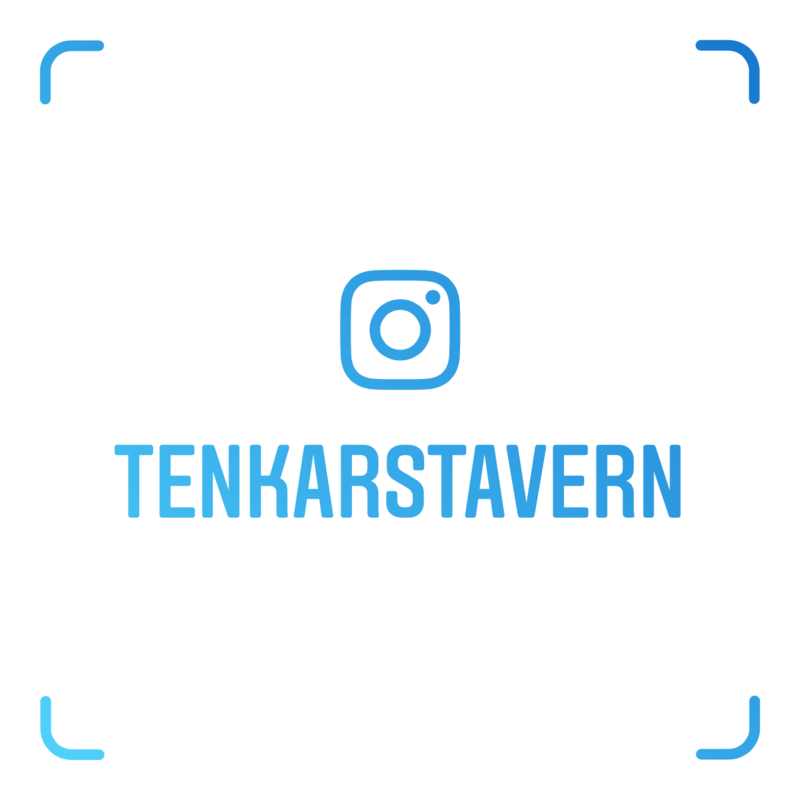 The title and publisher’s description drew immediate and harsh criticisms from across the blogosphere (including here at Tenkar’s Tavern - (WTF Were They Thinking? Tournament of Rapists (OGL), Aug 27, 2015), lead to at least one publisher pulling their materials from the site in protest (Exploding Rogue and DTRPG, Aug 30, 2015), and even drew harsh condemnation from such industry leaders as Erik Mona of Paizo while, in other circles, the product’s publisher received strong support. Within a few days of the beginning of the affair, the matter was abruptly resolved by the publisher voluntarily pulling the product and the introduction of a new content policy from OBS CEO Steve Wieck on September 1. Rather than satisfying either side of the controversy, both groups expressed displeasure with the new policy and the solution that it presented. 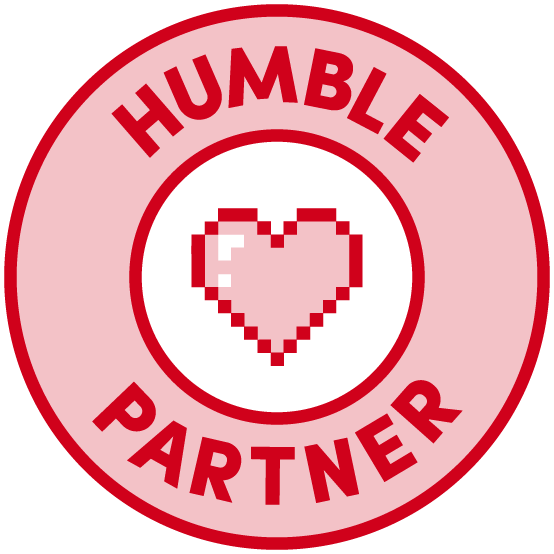 Publishers sometimes seen as controversial, such as James Raggi, expressed concern over the possible far-reaching impact this new policy may have on creativity and participation within the industry while heated discussions carried on at rpg.net, reddit, and other sites. In the end, the policy put in place offered no hard and fast guidelines for what would be deemed offensive or not, instead harkening back to the old adage “we’ll know it when we see it”. Community opinions on whether this system would be immediately abused in attacks against particular publishers or if it would be overly permissive were just as heated as the original discussions about Tournament of Rapists. It has now been over a year since the policy was put into place and we at the Tavern decided to dig a little deeper. We spoke with Scott Holden, Manager of Promotions and Business Intelligence at OBS to see what impact the new offensive content policy has had at OBS. TT: With an already existing "Adult" filter, is there any reason for OBS to have a content review system for matters other than copyright/trademark infringement? SH: We believe so, yes. If you did a Venn diagram of adult content and offensive content, there would be overlap, but the two things are not synonymous. TT: The majority of the OBS review system as originally cited boils down to "We'll know it when we see it", in an attempt to avoid "bright line" rules. Is this still the case, or has the system become more rigidly structured? SH: That is absolutely still the case. Each instance is handled individually, and we discuss it internally after we've all reviewed the titles thoroughly. Only once we've all chimed in and given our "vote" do we take any action. And to date, as the record shows, our policy leans toward acceptance and leniency. TT: Since the policy has been put into place have any products not been approved or been removed that fell afoul of "know it when we see it" after having been identified internally? TT: To date, what is the feeling on the level of success of the review process? SH: I think we're quite happy with it. Everyone on our staff who has chimed in on these titles has been very open-minded, even when they might have been personally offended or at least made uncomfortable by some of the material in question. And the results speak for themselves. From the customer side, very few people seem to have tried to abuse the system (and I think it's both interesting and telling that the couple who have done so almost certainly did it out of resentment for the system itself). The policy and the tools have been working pretty much as intended. TT: Looking back to the Tournament of Rapists controversy that led to the policy being implemented, how would the new policy have caused OBS to have handled that matter differently? SH: I think there would be little change. The title would have been reported at release; we would have suspended the title for thorough review and discussed it with the publisher. Since the policy’s implementation, the number of products reported for review to OBS is about thirty. Among RPG products less than ten items have been reported as offensive. These products have been spread across seven publishers, five authors, and seven complainants. Of the reports filed, only one complaint was found by OBS to be abusive. “Interestingly, the only customer account to have reported multiple titles (three of them) did so as a revenge tactic against our temporary suspension of another title while it was pending review,” reported Holden. Among non-RPG titles, six items have been reported as offensive, while the remaining products have been RPG products submitted over IP violations (whether intentional or unintentional). These numbers exclude “community products” (e.g. DM’s Guild) for which complaints tended towards IP reasons. Further, between six and eight titles, all non-RPG, have been banned since the implementation of the policy. Five of those titles belong to a single publisher and were removed after the reporting of a single product lead to the removal of an entire product line. To date, OBS in unaware of any publisher pulling their materials in protest of the Offensive Content Policy. The results can be viewed in a number of ways. One could say that one third of products reported among RPGs are solely abusive complaints. One could say that the number of complaints is so small as to have no real effect on the industry. But the numbers don’t tell the full story of the impact of the policy, and in our next installments we will be questioning several publishers and authors on both sides of the issue, four of whom having had direct experience with the policy. Bob Brinkman has been playing RPGs since the days of OD&D. Recently he has written for both the Goodman Games Fifth Edition Fantasy and DCC RPG lines and has completed a project for the Crossroads to Adventure books for GP Adventures. He co-hosts the monthly Sanctum Secorum podcast focusing on Appendix N in relation to DCC RPG. 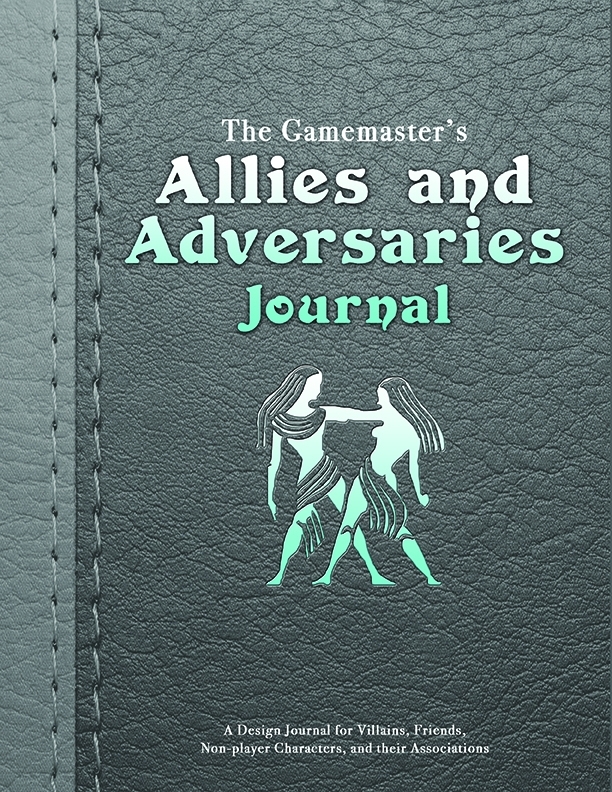 Earlier this week, Fat Goblin Games sent me a copy of The Gamemaster's Allies and Adversaries Journal. Simply put, it's PDF fillable sheets (and printable, non-fillable sheets too) for NPCs, guilds and organizations, as deep as you need or as sparse as you want. Heck, there's even a family tree. Disclaimer - Yep, I got this for free. If you want a copy, its $2.95 for the various PDFs in the package. I may scare my players in my next campaign, as I'll actually be organized. No? More organized maybe? Anyhow, each purchase through the above link is 15 cents or so in my pocket. I'm mentioning this because I think the product is well worth the price. Don't buy it solely to put nickels in my pockets. They have holes. 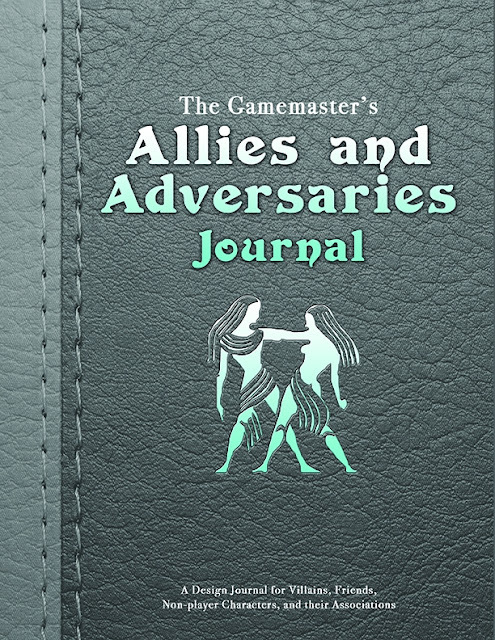 The Gamemaster's Allies and Adversaries Journal is perfect for game designers, novelists, and especially gamemasters wanting to keep track of all non-player characters in their world. This product is designed as a blank journal for you to catalog all the various non-player characters you’ve created for your campaign world. The book is broken down into 6 chapters. Major Non-player Characters is for those important NPCs. World-shaking villains, emperors, and kings, and mighty wizards. These are the types of characters that shape the lands and it’s people for good or bad. Minor Non-player Characters are important, but typically on a more personal level. They can be allies and family to the player characters, local adversaries and royalty, or just the local innkeeper. General Non-player Characters are characters that are minor in your campaign, but the players will often meet more than once. These can be travelling merchants, town guards, woodland hermits, talking animals, and so forth. Simple Non-player Characters are typically one-time encounters or spare personalities you can use in a pinch. Store owners, travellers at the inn, citizens of a village, and anything else you might have created or think you might need one game. Guilds & Organizations is a catch-all for any groups that several NPCs might belong, such as thieves guilds, royal families, adventuring parties, tribes, etc. The Family Tree section provides several blank forms for characters and NPCs that have important family ties to others in the setting. These are Simple, but space is given to expand upon. PDF Version: This version is 21 pages long and includes a single copy of each form with no background and minimalistic design. Perfect for printing out as many copies as you want and including them in your own compilation. PDF Version 2: This version includes the 286-page version of the print book. Form-fillable files: Zip folder including each form as an individual pdf and form-fillable. Print Version (premium): This book is 286 pages with decorative backgrounds and design. Divided into 6 chapters. Will be available soon. What Do We Find in the Chest? GURPS has long had a reputation as the Lego-brand bricks of gaming: you can do anything with it, but you have to put the pieces together yourself. It’s actually easy to play once you get to the table (the whole of GURPS boils down to “roll this number or less on 3d6”), but it can be a lot of work to get you there. The Dungeon Fantasy RPG, Powered by GURPS gets you to the table, with complete dungeon-crawling rules in a single box. The Dungeon Fantasy RPG contains five slim volumes, covering character generation, adventuring, spellcasting, monsters, and an adventure, and requires no other books. The emphasis is on playing this particular game, not on being all things to all gamers. Part of it is the stripped-down rules set, distilled from the mature, battle-tested GURPS Fourth Edition rules. That doesn’t mean incomplete. 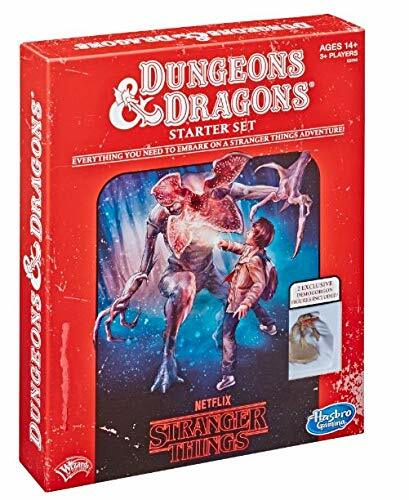 Considering the starting point, “stripped down” is still comprehensive, but it’s just rules for fantasy, including what’s useful (monsters, spells) and excluding what isn’t (lasers, automobiles). Just as important, it provides guidance on how to use those rules for both players and GMs. For example, professions – guided menus for building character types (wizards, warriors, etc.) – don’t abandon you to a list of traits. They provide advice on how to shape the character you want: pick these skills from a short list to make your thief a burglar or those for a stealthy killer. The volume on monsters kicks off with detailed advice on ways PCs can deal with them, only one of which is doing a Leroy Jenkins, and then detailed advice on ways GMs can use monsters against heroes. You don’t have to be a veteran for this. And there are more subtle aspects which make it an easy-to-use product. Breaking the set into five books rather than one or two means there’s more to pass around at the table. If you’re in a group where most players don’t own the rules, it makes a real difference. There’s no math more complicated than a little multiplication. And professions, which GURPS players will recognize as templates, are reformatted for easier reading. Finally, it performs a remarkable balancing act, retaining the flexibility of GURPS while remaining true to the specific nature of the game. If you want to build a unique character from scratch, the rules are all there, and still compatible with the rest of the GURPS rules universe. But you don’t have to go there. If you tried GURPS but left because of the pre-game overhead, this is what to come back to. If you’ve heard of GURPS but were overwhelmed by the size of it, this is where to get on. If you just want a fantasy game that has robust, flexible rules that let you do – or at least try – anything you think you should be able to, and maybe even has some reality checking lurking in the background, this is the one to try. Everything you need is in that box. 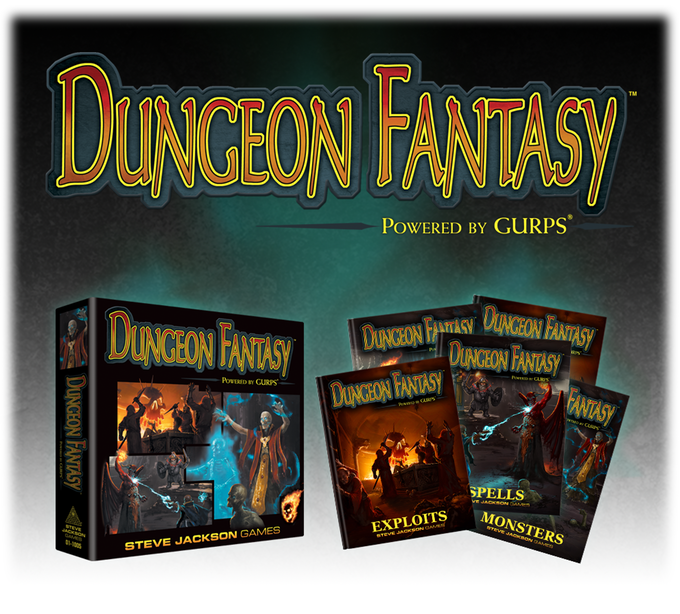 What follows is the complete press release from Fantasy Flight Games released earlier today. We are keeping the original formatting and the included links. Some of the text by go beyond it's allotted space, and for that we apologize in advance. It will be interesting to see where the license(s) go in the future. In 2008, Fantasy Flight Games first began publishing great games set in the amazing Games Workshop universes. From the earliest days of the partnership, Games Workshop played a key role in the Fantasy Flight Games library, helping us further develop roleplaying games like Dark Heresy and Warhammer Fantasy Roleplay, while creating and establishing new board games like Chaos in the Old World and Forbidden Stars, and Living Card Games® such as Warhammer 40,000: Conquest and Warhammer: Invasion. Games Workshop has been a fantastic partner for the past eight years, and we’re thrilled that we had the opportunity to work together and bring so many new and exciting games into the world. As much as we have enjoyed creating these games, our current licensing term is coming to an end. Beginning February 28th, 2017, Fantasy Flight Games will no longer offer for sale any games in conjunction with Games Workshop, including Talisman and all games taking place in the Warhammer Fantasy and Warhammer 40,000 universes. We’re extremely grateful to our friends at Games Workshop for giving us the opportunity to play in the worlds that they created, and we wish them nothing but the best in their future endeavors. For more details, please keep reading in the FAQ below. What is the timeframe for the conclusion of the business relationship? All upcoming products for Games Workshop-licensed games have already been announced and will be released in upcoming months. 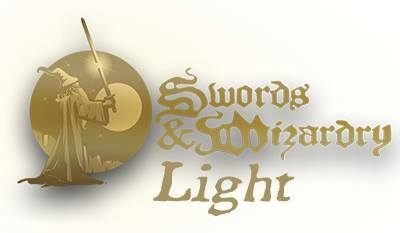 All Games Workshop-licensed product lines will leave the Fantasy Flight Games catalog on February 28th, 2017. What does this mean for Fantasy Flight Games products created from Games Workshop properties? As stated above, after February 28th, 2017, product lines dealing with Games Workshop properties will end and will no longer be offered for sale by Fantasy Flight Games. All upcoming products for these product lines have already been announced—there will be no new announcements of additional Games Workshop-licensed products. All announced, currently unreleased products will be released before the conclusion of the business relationship between Fantasy Flight Games and Games Workshop. What does this mean for Warhammer 40,000: Conquest Organized Play? 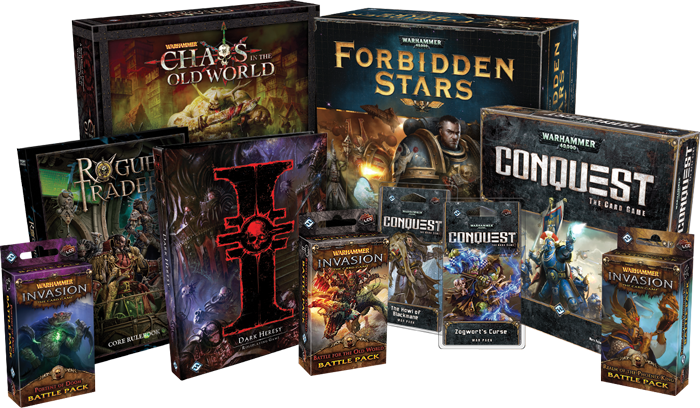 Organized Play support for Warhammer 40,000: Conquest will conclude this year at the Fantasy Flight Games World Championships. After the 2016 World Championships, there will be no Organized Play support for Warhammer 40,000: Conquest. Retailers: All pre-orders for Warhammer 40,000: Conquest Store Championship Kits and Quarter 1 Tournament Kits have been canceled. These kits have been discontinued and will not be released. Retailers will not be charged for these kits. How Much Actual "RPG News" is There to Report? Who Will be Ken Whitman's Sean Fannon?